Nowadays, if you crave for a unique dish that you have tasted and enjoyed from one of your trips abroad, you don’t need to save up that much to book a flight and fly outside the country to have it again. Local franchises of these well-loved brands of food and restaurants are readily available in various supermarkets, malls and food joints in and around the metro – including the newly opened cake store in town, the Original Cake! Originally from the scenic riverside of Tamsui Old Street, North of Taipei, Taiwan, Original Cake slowly creeps in to different parts of Asia to share its comforting and wondrous cakes to everyone. 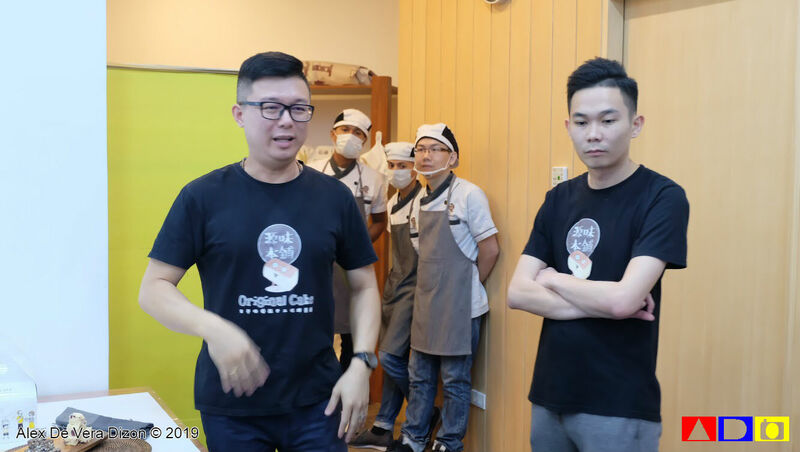 This time, opening its first-ever branch in the Philippines, Original Cake has its first store at the 2nd Level of SM City San Lazaro, in the downtown Manila. 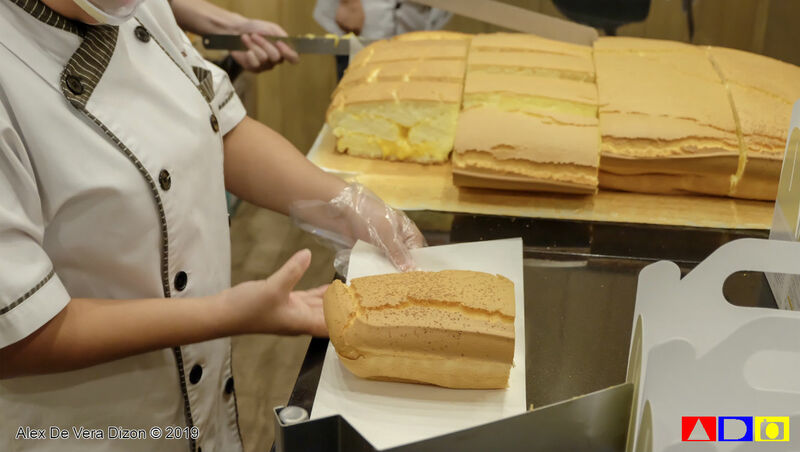 Wafting up the air of the mall with its freshly baked Taiwanese Castella cakes, guests can get a quick trip to Taiwan as Original Cake brings to the Philippines its renowned traditional delicacy made with its traditional recipe and combined with modern concepts of keeping in good health. 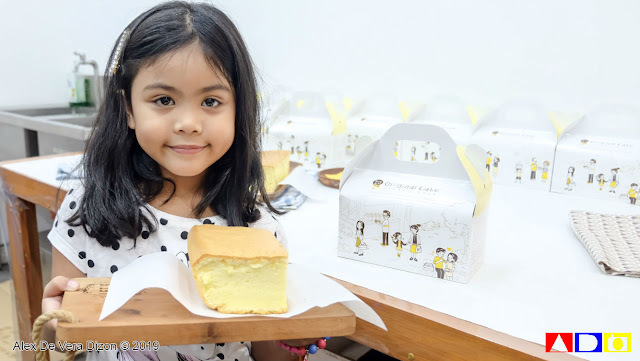 Along with my little “kikay” niece, Elaisha, we were invited by the Philippine franchise owners to checkout this first store of Original Cake in the Philippines and have a taste of their fluffy and flavorful cakes. I haven’t been to Taiwan, so honestly, this is a real treat for me as I’ve been wanting to visit that country for years now mainly because of the food raves that I’m reading online. 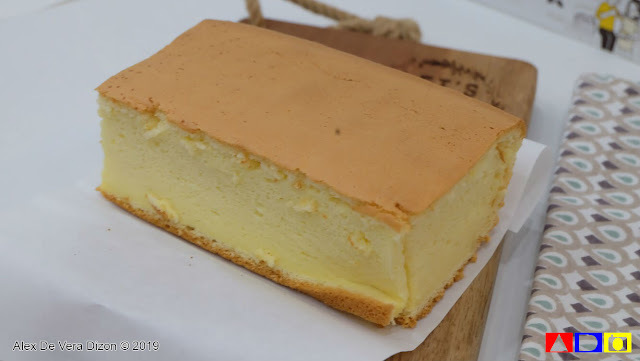 Currently, Original Cake here in the Philippines offers three creamy, mouthfeel flavors: the Original Cake, the Golden Cheese Cake and the Chocolate Cake. They consider the Original Cake as the purest cake that they serve here due to its three main ingredients that anyone can enjoy. These ingredients include fresh eggs, milk and flour. 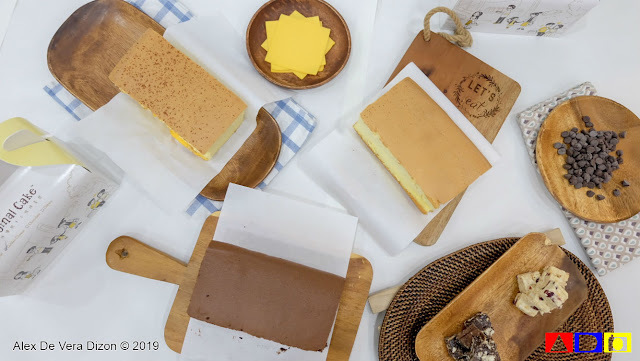 Each box of Original Cake costs Php140.00. 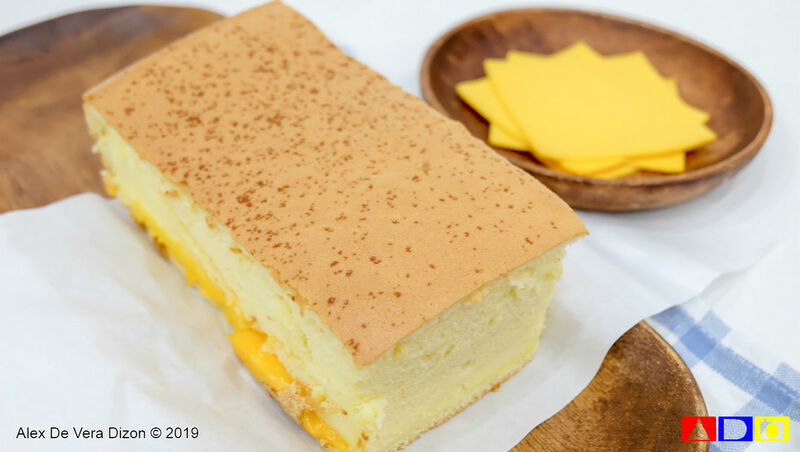 The Golden Cheese Cake, which is basically an Original Cake stuffed with two layers of tasty Anchor sliced cheeses and then sprinkled on top with cheese powder, offers a more fulfilling flavor made more comforting with the generous cheesy filling. This is my favorite among the three, because aside from its lovely flavor, this one costs only Php180.00. The last cake that we enjoyed on our first visit here was the Chocolate Cake. Unlike the first two, this one is oozing with sweetness and creamy mouthfeel due to its dark bittersweet Hershey’s chocolate chips filling that delighted and enjoyed so much by my niece. 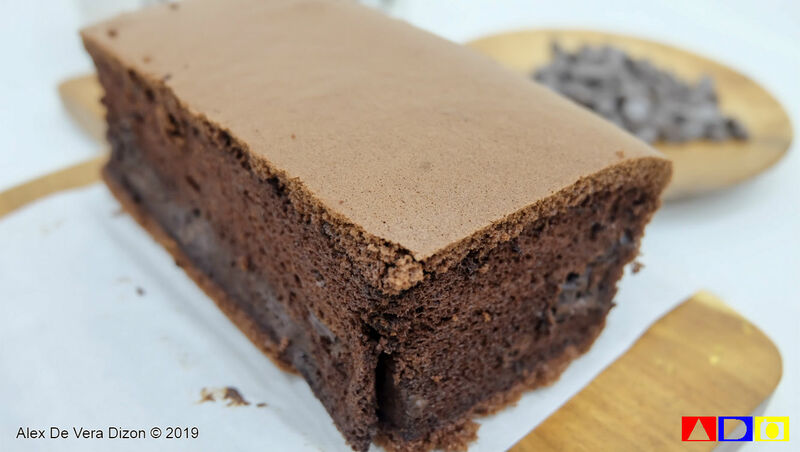 The cocoa powder that they used in this cake is imported from Holland to maintain the rich quality chocolatey taste that they offer in all of Original Cake branch in the world. Each box of this cake is available at Php199.00. 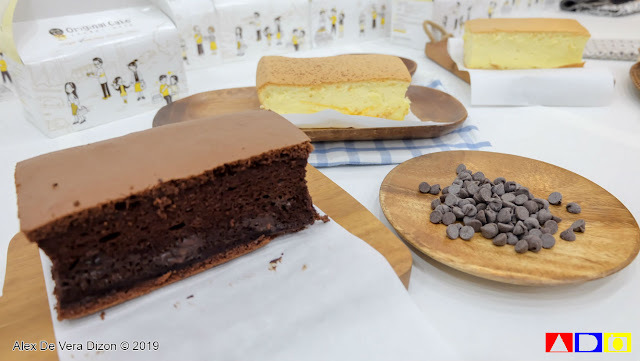 If you’ll check out Original Cake Taiwan’s website, you’ll notice that they offer other fruity and nutty flavors there such as Cranberry Flavor, Healthy Dried Longan flavor, Almond and Nuts flavor and Banana Milk Flavor, as well as Pork floss and Laver Flavor. Don’t worry! Because in the coming days, as its Philippine stores settled here nicely, they’ll be bring in some of these flavors as well, starting with the Cranberry Flavor and Chicken Floss Flavor. 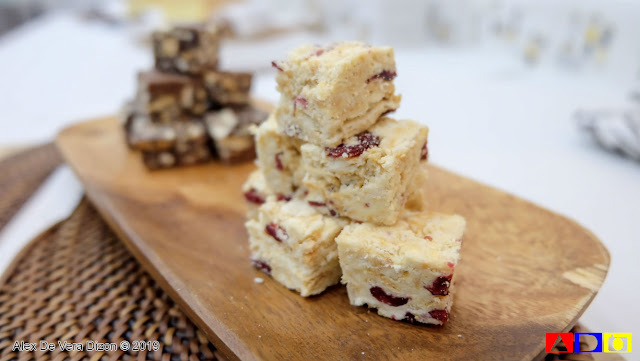 Aside from these cakes, Original Cake Philippines also offers Snowflake Crisp, which is a crunchy treat made of mix of superfoods, cranberries and dates, biscuits, marshmallows, mixed cream and milk powder. 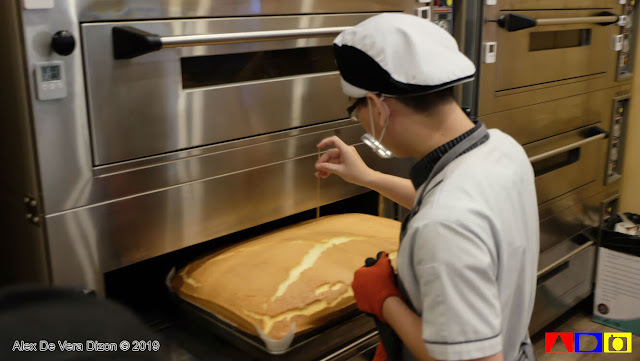 Soon, Original Cake will be opening more stores in the Philippines for more Filipinos to enjoy. I heard that they are actually targeting to open nine more stores this year, and these places include Ayala Malls Circuit in Makati, Eastwood Mall in Quezon City, SM City Sucat in Paranaque, Robinsons Galleria in Pasig City, Lucky Chinatown Mall and SM City Manila, both in Manila City. And just in case you think that this a great business, they are also available for franchising, which you can inquire through this link: https://originalcake.ph/franchise/. Thank you, Original Cake.! We can’t wait to go back!